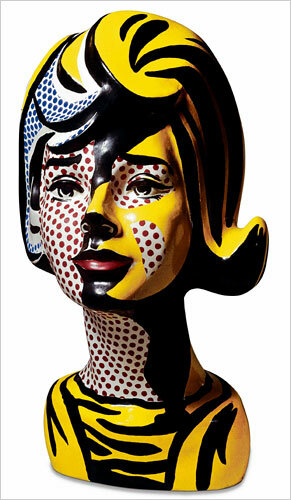 Dwell by Cheryl: "Inspired by Pop Art"
Last week, I had the opportunity to visit the Art Institute of Chicago. Now I have to admit that I'm not big into art. While I can certainly appreciate it, it's just really not my thing. 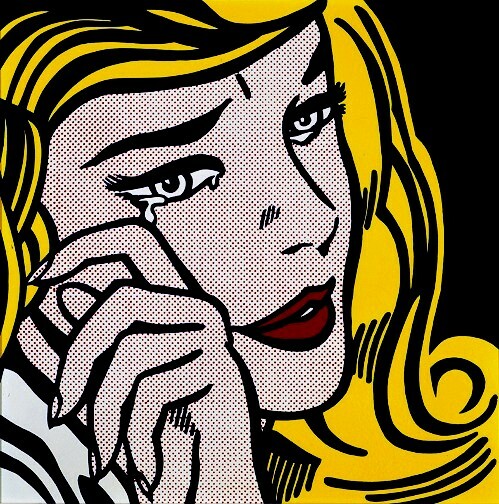 However, I had a chance to check out the Roy Lichtenstein exhibit in Chicago, and it was pretty cool. 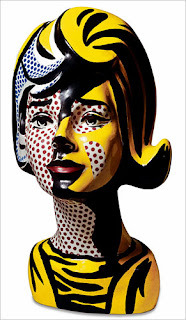 Lichtenstein was a prominent American pop artist, and his work is very easily recognizable. 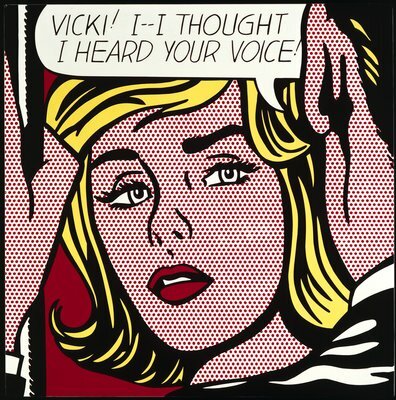 Lichtenstein's work featured bold primary colors, fun subjects and the use of repetition to convey depth and dimension. 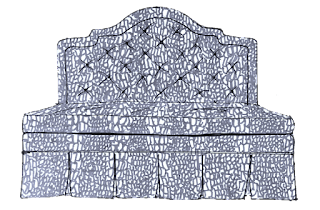 It got me thinking about dots and how they can be tastefully used in our homes. Polka dots are a difficult element to incorporate without the result looking extremely juvenile. One of the most important things to remember is to use dots sparingly in your space. They can be the absolutely perfect accent. 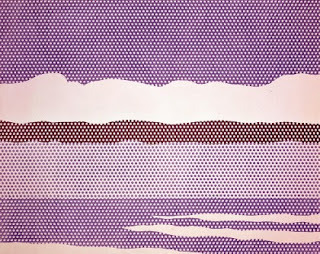 But, if you're feeling adventurous and you desire to go all out with dots, remember that size and scale are important. 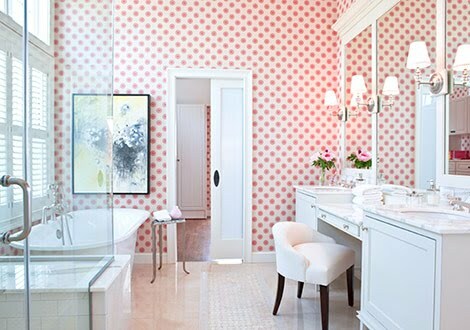 While a large portion of this bathroom is drenched in dots, the overall effect is toned down because of the size and muted color of the dots themselves and the white backdrop. 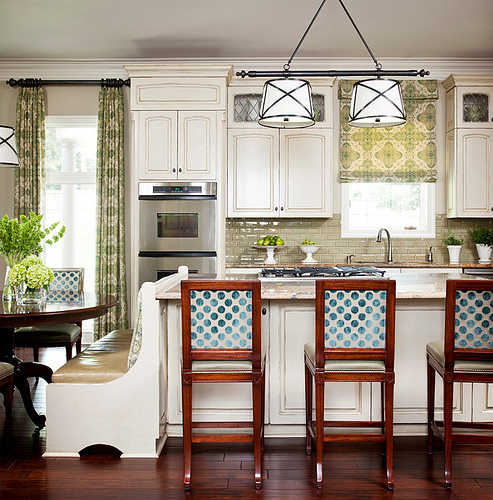 I love the idea of a wallpapered polka dot wall in a small space like the one shown here. Like Lichtenstein's work, varying size and placement of dots can be used to draw the eye to a particular location. 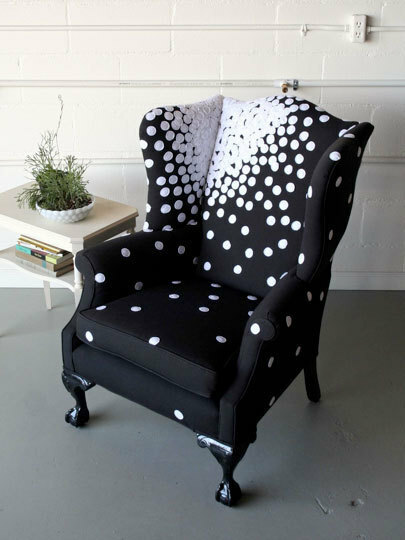 Instead of an allover dot, this wingback chair features dots that seems to disperse, originating from a large cluster in the corner that almost resembles a chrysanthemum. Whether you're an art connoisseur a novice, or not into it at all, no one can deny the fact that it has the power to inspire thoughts, ideas and even design. Need a little inspiration? Check out an art museum in your area. 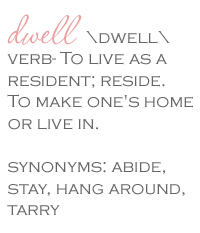 Enjoyed today's guest post? Leave me a comment. I'd love to hear from you.